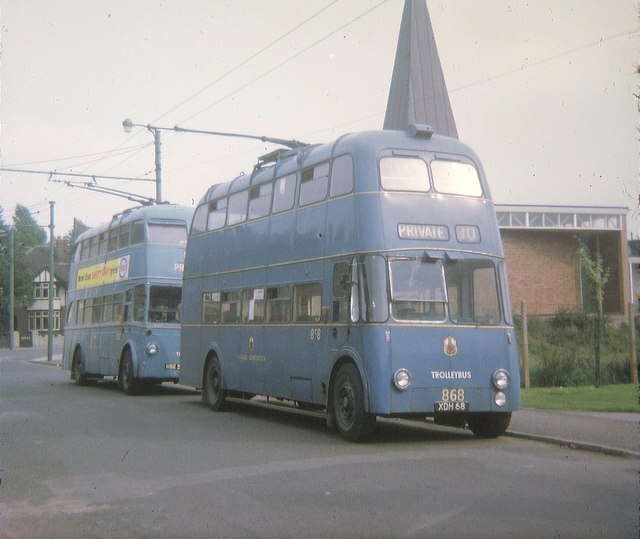 Sunbeam F4A trolleybus 868 (XDH 68) is seen in Carl Street, WS2 7BE on the approach to Birchills Depot. It has Willowbrook 70-seater bodywork dating from 1956. Behind it is Crossley Empire TDD43/2 trolleybus 850 (HBE 541). The former Methodist Church can be seen to the right of the photo.